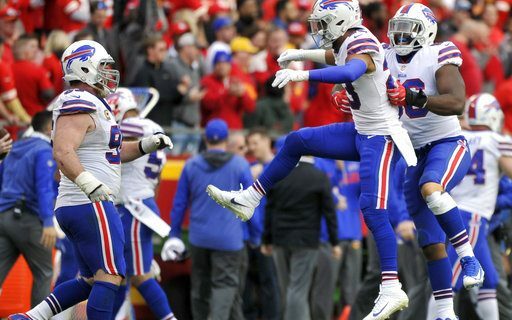 The Bills’ unlikely run into the playoffs capped off a season that began with what appeared to be on track for a bottoming out – especially in a fiscal manner. Buffalo traded away three key players (Sammy Watkins, Ronald Darby, Marcell Dareus) over the course of the regular season, accumulating two more Top 100 draft picks in 2018, and sending many to believe the “tank” was on. But it’s becoming more and more clear now that the new Bills’ front office had both long-term and short-term goals in mind. The Bills will head into the postseason with 49% ($76M) of their 2017 cap dollars allocated to the offensive side of the ball, nearly half of which falls onto the offensive line. Looking at the 12 playoff teams, only the Steelers and Falcons have more cap spent into their offenses – and the Bills rank 1st in both offensive line, and running back cap percentages. Just 28% ($44M) of their cap dollars allocated to the defensive side of the ball, the fewest percentage of any 2017 playoff team. Kyle Willams ($8.3M) and Jerry Hughes ($10.45M) represent 42% of that $44M, complemented by a vast number of low paid rookies, or near minimum veterans. Prior to his trade, Marcell Dareus carried a $16.4M cap figure, nearly 27% of the Bills total defensive cap allocation by himself. Moving Dareus was not only beneficial to this year’s finances, but even more so over the next 2 seasons (where salary is still guaranteed). At Spotrac, we often focus on the Quarterback, Running Back, Wide Receiver set when reporting on finances. The Bills’ “Big 3” (Taylor, McCoy, Benjamin), has been built completely from free agency or trade acquisitions. Because of Carson Wentz’s injury, the Eagles join the Bills as the only other playoff team with this designation. Four of the twelve teams (Atlanta, Carolina, Jacksonville, and Pittsburgh) have a completely homegrown Big 3. If McCoy’s ankle injury keeps him inactive this weekend, the Bills will roll into Jacksonville with two running backs (Marcus Murphy & Mike Tolbert) and four wide receivers (Jones, Benjamin, Tate, Thompson) worth a combined $3.5M in cap. In fact, when including all active & injured players, LeSean McCoy’s $10.3M cap figure is more than the other 3 running backs, 2 fullbacks, and 9 wide receivers COMBINED ($9.3M). Shady’s cap numbers drop down to $8.95M & $9.05M across the final two years of his contract. With just 37 players under contract, the Bills hold an estimated $38M in cap space for the upcoming offseason. Reserve/Future contracts and restricted tenders will eat up a bit of this, but Buffalo is in a nice position to put together a balanced offseason of spending. Even with a decent amount of space to work with, the business side of the game will likely kick in for a few players this offseason. Taylor’s done all he can to win over the hearts of the Bills going forward, but it may not be enough in the end. Releasing him prior to March 16th clears $9.44M in cap space ($10.44M if traded), but leaves Buffalo without a prominent starting QB. He’s the Bills’ best option at tackle on the current roster, but is become less and less reliable over long stretches due to injury. He’ll have $8.5M in guarantees kick in by March 18th, so the Bills will need to move quickly on this decision. While releasing him only clears $3.35M in cap, a trade would free up $4.85M. He’s been an above average guard for 3 years in Buffalo, but at 34 years old, and with a cap number rising to $7.5M in 2018, Incognito’s future with the Bills is in question. Gaines was a very good fit when healthy enough to stay on the field. 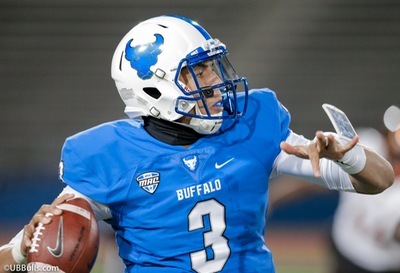 He’s an extension candidate in an offseason where the Bills have very few candidates. The long-time Bill may ride off into the sunset after his 1st playoff birth, but was still a strong contributor in his mid-30’s. It’s tough to imagine any of these players back in the fold in 2018, but their absence leaves at least a few WR holes to fill.